Pollution refers to situations in which some material or some form of energy occurs in larger quantity than can be tolerated by humans, plants, or animals without suffering some kind of harm. Probably the best-known forms of pollution are air and water pollution, which are discussed below. But other forms of pollution also exist. For example, the term noise pollution has been used to describe the loud noise level of airplane takeoffs and landings, construction, highway traffic, boom boxes, and other modern-day machines. Similarly, the expression visual pollution has been used to describe areas so clogged with signs, billboards, and other objects that the beauty of the natural environment is diminished. Pollution can be caused both by natural sources and humans. Volcanic eruptions are an example of natural sources of pollution. When a volcano explodes, it releases sulfur dioxide, carbon monoxide, solid particles, and other materials into the air at a much greater rate than is normally the case. Plants, animals, and humans may be killed or injured by these materials. A concrete example of natural pollution can be found at an area known as the Smoking Hills, located in a remote wilderness in the Canadian Arctic. The local environment around Smoking Hills is virtually uninfluenced by humans. However, naturally occurring low-grade coal deposits found in the area have spontaneously ignited from time to time, causing the release of clouds of sulfur dioxide over the nearby tundra. As this gas is carried to Earth's surface, soil and freshwater become acidified. At some level, this acidification causes metals to become soluble (able to be dissolved). The toxicity (poisons) associated with sulfur dioxide, acidity, and soluble metals at the Smoking Hills has caused great damage to the structure and function of the local ecosystem. Acid: Substances that when dissolved in water are capable of reacting with a base to form salts and release hydrogen ions. Anthropogenic: Any effect caused by humans. Fossil fuel: Fuels formed by decaying plants and animals on the ocean floors that were covered by layers of sand and mud. Over millions of years, the layers of sediment created pressure and heat that helped bacteria change the decaying organic material into oil and gas. Greenhouse effect: The warming of Earth's atmosphere as the result of the capture of heat by carbon dioxide molecules in the air. Oxygen-demanding agent: Any substance that reacts with oxygen dissolved in water. Particulate: Solid matter in the form of tiny particles in the atmosphere. Secondary pollutant: Any pollutant formed in the atmosphere from compounds released from some source. Smog: A form of air pollution characterized by hazy skies and a tendency to cause respiratory problems among humans. Thermal inversion: A condition in which there is an atmospheric zone in which temperature increases with altitude, instead of the usual decrease with increasing altitude. Volatile organic compound: Any organic liquid that changes easily (volatilizes) to a gas. Natural forms of pollution have existed since the dawn of time, and there is not much humans can do to control such events. On the other hand, the vast majority of pollution affecting human societies today originates from human activities and is therefore susceptible to human control. Human-caused pollution is sometimes referred to as anthropogenic pollution. Anthropogenic pollution has existed for centuries. People living in London, England, in the late eighteenth century, for example, were exposed to huge quantities of noxious gases in the air and dangerous levels of harmful materials in their water supplies. However, most people of the time probably accepted such risks as part of being a city dweller. Modern concerns about pollution began to increase in the 1960s largely as the result of two factors. First, population growth in many urban areas meant that more people and more industries were releasing a higher concentration of pollutants to the environment than ever before. Second, modern science had developed a number of new materials and new procedures that resulted in the release of many new and often dangerous chemicals to the environment. As people became more and more conscious of pollution problems, they began calling for government efforts to control the release of pollutants and to clean up a dirty environment. Some results of this effort included the Clean Air Acts of 1965, 1970, and 1977; the Safe Drinking Water Act of 1974; the Clean Water Act of 1977; and the Toxic Substances Control Act of 1976. A complete list of air pollutants would include nearly two dozen solids, liquids, and gases. It would include well-known pollutants such as sulfur oxides and carbon monoxide and less-familiar materials such as pesticides and fluorides. In terms of the quantities of pollutants released in a year, the five materials that cause the most damage are sulfur oxides, oxides of nitrogen, carbon monoxide, particulate matter, and volatile organic compounds. Sulfur oxides, oxides of nitrogen, and carbon monoxide are chemical compounds. Particulate matter and volatile organic compounds are groups of related pollutants. The term particulate refers to tiny specks of solid matter in the atmosphere, including smoke, haze, aerosols, and tiny particles of carbon. Volatile organic compounds are organic liquids, such as benzene, toluene, the xylenes, and trichloromethane, that change easily (volatilize) to a gas. Effects of air pollutants. By definition, all forms of air pollution have some harmful effect on humans, other animals, plants, or other materials in the environment. For example, carbon monoxide is a well-known toxic gas that reduces the blood's ability to transport oxygen. Prolonged exposure to carbon monoxide can cause heart and respiratory disorders; headaches, nausea, and fatigue; and, at high enough concentrations, coma and death. The oxides of both sulfur and nitrogen attack the human respiratory system, leading to irritated eyes and throat and impaired breathing (at low concentrations), and to emphysema, bronchitis, and lung cancer (at higher concentrations). The effects of particulate matter are wide, from preventing photosynthesis (food production) in plants to clogging the breathing passages in lungs (leading to respiratory disorders). Particulate matter also soils buildings, statutes, and other objects, leading to their decay and deterioration. Sources of air pollution. The major single source of air pollutants is the combustion (burning) of fossil fuels (coal, oil, and gas) to run industrial machines and generate electricity. All anthropogenic pollutants can be traced to some extent to this source. A second major source of pollutants is the incomplete combustion of fuel in cars, trucks, railroad trains, airplanes, and other forms of transportation. Smaller amounts of pollutants are released during the incineration of solid wastes and by a variety of industrial processes. In some cases, pollutants are released by these sources directly to the air and are known, therefore, as primary pollutants. Sulfur dioxide, oxides of nitrogen, and carbon monoxide are all primary pollutants. In other cases, materials released by a source undergo a chemical reaction in the atmosphere and are converted to a secondary pollutant. Examples of secondary pollutants are ozone and peroxyacyl nitrates (PANs), major components of the form of air pollution known as smog. Specialized forms of air pollution. Under specialized conditions, certain forms of air pollution have developed that are so dramatic or so serious that they have been given special names. These conditions include smog, acid rain, the greenhouse effect, and ozone depletion. The term smog actually applies to two quite different atmospheric conditions. The term itself comes from a combination of the words smoke and fog. One form of smog, known as industrial smog, is produced when sulfur dioxide, particulates, and other pollutants released by industrial and household burning of fossil fuels is trapped by a thermal inversion. A thermal inversion is an atmospheric condition in which a layer of cold air is trapped by a layer of warm air above it. Some of the most dramatic photographs of urban areas covered by air pollution are those that show a city smothered in a cloud of smog. A second form of smog is photochemical smog, produced when oxides of nitrogen, produced largely by internal-combustion engines (those most often used in automobiles, for example), react with oxygen in the air to form a complex mixture of pollutants that includes ozone, PANs, and other organic compounds. Photochemical smog often has a similar appearance and similar effects to those of industrial smog. Indeed, in most cities, the two forms of smog occur in combination with each other. Acid rain. Acid rain, or more generally acid precipitation, is the name given to any form of precipitation (rain, snow, sleet, hail, fog) that is more acidic than normal. The high acidity of acid precipitation results from the formation of acids in the atmosphere from chemicals released by human sources. Most powerplants that produce electricity release as by-products large quantities of nitrogen and sulfur oxides. Once in the atmosphere, these oxides react with moisture in the air to produce nitric and sulfuric acid. When precipitation occurs, these acids are carried to Earth's surface, where they attack plants, animals, and nonliving materials. Some experts believe that large regions of forests on the east coast of the United States and Canada have been badly damaged by acid precipitation resulting from gases released by industrial plants in the midwestern United States. Acid precipitation has also been blamed for the death of fish and other aquatic organisms and for damage to stone buildings and sculptures. Greenhouse effect. Carbon dioxide is normally not considered to be a pollutant since it has no harmful effects on plants or animals. It does have one other effect, however, that may affect life on Earth. Solar energy that reaches Earth's atmosphere experiences a variety of fates. Some of that energy is reflected back into space, while some passes through the atmosphere and reaches Earth. Of the solar energy that reaches Earth's surface, some is absorbed and some is reflected back into the atmosphere. A large fraction of the reflected energy is captured by carbon dioxide molecules in the air and retained as heat. This effect has been compared to the way in which the glass in a greenhouse may capture heat and is called, therefore, the greenhouse effect. Experts believe that, without the greenhouse effect, Earth's temperature would be about 8°C (18°F) cooler than it actually is, making it impossible for most forms of life to survive. Since the turn of the twentieth century, however, the rate at which carbon dioxide is being added to Earth's atmosphere has increased dramatically. The combustion of fossil fuels for heating, industrial operations, transportation, and other uses is primarily responsible for this trend. With the increase in carbon dioxide in the atmosphere comes an increased greenhouse effect and, some experts believe, a general warming of the planet's annual average temperature. In a report released in early 2001, scientists concluded that if greenhouse emissions are not curtailed, the average global surface temperature could rise by nearly 11°F (6°C) over the next 100 years. The scientists also stated that man-made pollution has "contributed substantially" to global warming and that Earth is likely to get a lot hotter than previously predicted. Such a warming could cause a massive melting of the polar ice caps, resulting in the flooding of many coastal areas. Ozone depletion. Ozone is a form of oxygen whose molecules contain three atoms (O 3 ) rather than two atoms (O 2 ). Ozone occurs in very small concentrations in upper regions of Earth's atmosphere, where it has a function vital to life on Earth. Ozone molecules have the ability to capture infrared radiation that enters Earth's atmosphere as part of sunlight. Infrared radiation is known to have a number of undesirable effects on plants and animals, from damage to leaves and fruits of plants to skin cancer and eye problems in humans. Scientists have learned that certain synthetic (human-made) chemicals known as the chlorofluorocarbons (CFCs) have the ability to attack and destroy ozone molecules in the atmosphere. CFC molecules are broken apart by solar energy with the release of chlorine atoms. These chlorine atoms then attack ozone molecules and convert them to ordinary oxygen. The loss of ozone molecules as the result of attacks by CFCs means that the ozone "shield" in the atmosphere is decreasing in concentration. With this decrease, a larger percentage of ultraviolet radiation is likely to reach Earth's surface, resulting in an increase in complications from exposure to ultraviolet radiation. Air pollution controls. A number of approaches are possible for the reduction of air pollutants. For example, it would be desirable simply to reduce the use of various processes that release pollutants into the air. Getting people to ride bicycles or walk to work instead of driving a car is a simple way of reducing the emission of nitrogen oxides and carbon monoxide. Another approach is to convert harmful pollutants to harmless forms before they are released to the atmosphere. The catalytic convertor that is now standard equipment on passenger vehicles does just that. It converts harmful oxides of nitrogen and hydrocarbons to harmless nitrogen, oxygen, carbon dioxide, and water vapor. Efforts can be made to trap pollutants as they are released from a source, thus preventing them from reaching the atmosphere. Devices known as scrubbers on smokestacks are an example. Polluting gases, such as oxides of sulfur and nitrogen, are captured in scrubbers, where they react with chemicals that convert them to harmless (and sometimes useful) by-products. A broad variety of materials can be classified as water pollutants, including synthetic organic compounds, human and animal wastes, radioactive materials, heat, acids, sediments, and disease-causing microorganisms. The following discussion describes the major water pollutants, their sources, and possible means of control. Oxygen-demanding agents. An oxygen-demanding agent is some substance which, when placed into water, reacts with oxygen dissolved in the water. As oxygen is removed from the water, other organisms that also depend on that oxygen (such as fish and other forms of aquatic life) may die or migrate away from the polluted waters. Sources of food and recreation may be destroyed by the presence of such agents. The obvious way to prevent pollution by oxygen-demanding wastes is to prevent sewage and other solid wastes from entering water supplies or to treat those wastes before they are released to lakes and rivers. Synthetic organic chemicals. The term synthetic organic chemical applies to a wide variety of products invented by modern chemistry to serve various human needs. These products include plastics, pesticides and herbicides, detergents, toxic by-products of industrial operations, and oils. Many of these products are directly toxic to fish, aquatic life, and even to humans. Others may not present a serious health effect to organisms, but can cause the unsightly accumulation of trash, destroying the recreational value of a waterway. The release of synthetic organic chemicals to waterways can be controlled by establishing and enforcing methods of producing, storing, shipping, and disposing of such materials. For example, many people are accustomed simply to dumping used motor oil into city sewers. This practice guarantees that rivers and lakes will become polluted with such oils. A better practice is for cities to provide special collection procedures for used motor oils. Industrial chemicals. A number of inorganic chemicals are released from industrial operations as the by-products of certain processes. For example, the element mercury is used in the production of light switches, air conditioners, fluorescent lights, floor waxes, medicines, plastics, paper, clothing, and photographic film, to name but a few of its applications. Each time one of these products is made, some small amount of mercury metal is likely to escape into the environment and, eventually, into lakes and rivers. This is problematic because mercury is highly toxic to humans and other organisms. It causes damage to the nervous system, kidneys, liver, and brain. One way to limit the release of industrial chemicals to water supplies is to find alternative chemicals to use in manufacturing operations. Another approach is to pass and enforce legislation that requires appropriate methods of storage and disposal of such chemicals. Sediments. Sediments washed from Earth's surface also pollute water. Any time it rains, a certain amount of sand, clay, silt, and other forms of earthy material are washed away. This sediment has a number of consequences, such as the silting of harbors and reservoirs, damage to shellfish and fish, reduction in the clarity of water, and the loss of water's ability to integrate (blend) oxygen-demanding wastes. The loss of sediments during rainstorms is a natural event and cannot, therefore, be totally eliminated. However, careless building and forestry practices may contribute enormously to the loss of sediments. Tree roots, for example, are important for holding soil in place. When trees are removed from an area, the soil is much more easily washed away. Heat. Warm water is not able to dissolve as much oxygen as is cool water. If the water in a river becomes warmer, it holds less oxygen. Organisms that depend on oxygen for their survival, then, will either die or migrate to other areas. Many industrial and energy-generating plants use water in their operation. They take water from a river or lake, use it, and return it to the same body of water, but at a higher temperature. This practice, sometimes known as thermal pollution, poses a serious hazard to organisms living in the water. The most common method for avoiding thermal pollution is to cool water discharged from a plant before returning it to a body of water. Many plants now have large cooling towers or artificial lakes through which waste waters must pass before they are returned to a lake or river. i think this article is very interesting i have read it 3 times. i am learning at school about water polllution and how it can kill many animals. So i think this article is very good and interesting. good job!! I am creating a pamphlet concerning the harmful effects of plastics in the marine environment and i would like permission to use the picture of the dead sea gull in the pamphlet. about the green house effects but bi would be very happy if you could sent me some information as how does the noise pollution affects the trees.thankyou.please do reply! Very hepful information for my art class. The picture was the best. very good article it helps the people to change their way to think about pollution and mabye they will think two times before they contaminate and its important the concepts because you now know about we are talking, thanks for your time and the knowlege. It was an excellent site and it helped me a lot in preparing my project. I think these type of sites should be encouraged. I have only one request that can you provide me full detail on treatment of water. very interesting site. 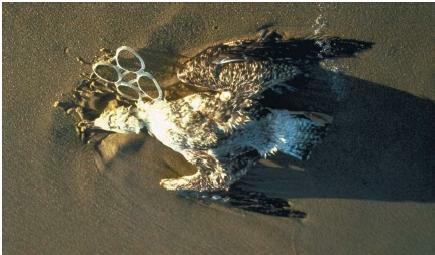 I suggest the prevention of the various pollution types should be educated on the site as well.Nathaniel Williams. It was awesome site and it helps me a lot in my project about pollutions. We as this community, need to clean out our oceans, and treat our enviroment better..
i'm a student of eighth.It's a very interesting article to know about pollution. this article seems very useful for me because after reading this article, i can give my environmental science exam very easily.thanks for this. as we know that land is an important part of environment.and we get food from land.nowadays fertilization of land is done differently,whatever kind of artificial medicines are being given, are very harmful for land so that must stop.and land also must given rest for some duration because it is aslo rule of land that it must given rest for some time during its cultivation but it is unseen and this is great damage to land. I love this website because i have gotten much information which i will use for my seminar. This journal is very interesting for me as a student. Moreover, it can be my evidence for the debating program as well. good website which will definately help me in my project about pollution. But being a car fanatic, i love how, in the photo at the top of the page, there are no car badges on the front of the cars. I have found your web site looking for iiformatnon about solar power. I am currently looking to have solar power panels fitted to my property and am wondering if anyone knows of a good company who can provide this services for me. pollution is an unfavorable change in the environment. it affects both the living and nonliving things in an ecosystem. what are the harmful effects of human activities on the ecosystem? How does pollution in rivers impact natural resources around the rivers and in the ocean. How could pollution impact the soil,water,plants and anmals around the river and the ocean? Yeah i like it this article and it has me help for my opinion text about pollution. This website is the best! I love it! My order just got shipped :D! i need help on water pollution and i can't figure out about what it does. Thanks a lot. It help me do my synthesis paper. What i have learn i will use it to help pollution problem to be solve soon.